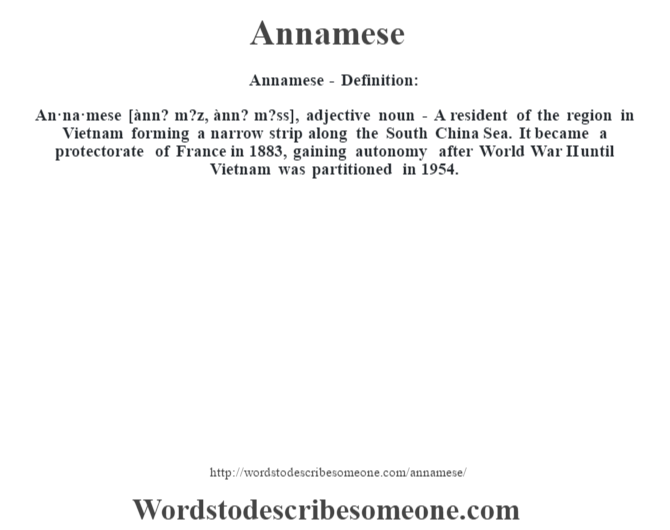 An·na·mese [ànn? m?z, ànn? m?ss], adjective noun – A resident of the region in Vietnam forming a narrow strip along the South China Sea. It became a protectorate of France in 1883, gaining autonomy after World War II until Vietnam was partitioned in 1954.